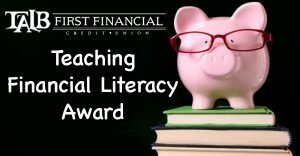 Describe the nominee's lesson plan(s) for teaching financial literacy. Did the nominee develop the lesson plan(s) or was a pre-existing lesson utilized. Describe the impact the nominee's lesson plan(s) had on the students. Did the grasp the material? Would you consider it a success? Why did the nominee decide to teach financial literacy? Was this mandated curriculum or was this an extra lesson?